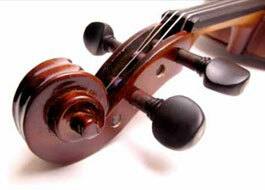 The Dante Quartet was founded in 1995 and won the Royal Philharmonic Society Award for best chamber ensemble in 2007. 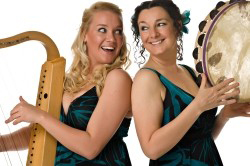 In the past two years they have appeared at the Aldeburgh, Bath, Cheltenham and City of London Festivals as well as Wigmore Hall and Kings Place in London. They broadcast regularly on BBC Radio 3 and have recorded Franck and Fauré’s string quartets on Hyperion. Since 2007 they have been quartet-in-residence at King’s College, Cambridge. The players are Krysia Ostostowicz (violin), Giles Francis (violin), Rachel Roberts (viola) and Richard Jenkinson (cello). The Castalian Quartet was formed in London in 2010 and is rapidly gaining a reputation at festivals and concert halls in the UK and abroad. It won the Elias Fawcett Award for an outstanding chamber music ensemble at the 2011 Royal Overseas League competition, and was selected by the British Council to represent the UK in a concert tour of South China last year. It will be giving concerts across the UK as artists on the Countess of Munster Recital Scheme. The players are Sadie Fields (violin), Daniel Llewellyn Roberts (violin), Charlotte Bonneton (viola) and Rebecca Herman (cello). Joglaresa is a British/Israeli/Irish/Arabic ensemble that has been playing since 1992. Blow Northerne Wynd is a light-hearted programme of medieval and folk carols - ringing with echoes of winter pagan festivities. It contains re-workings of well-known carols as well as other songs such as Burns' Cauld Blaws the Wind, and the traditional Welsh Plygain carol Ar Gyfer Heddiw'r Bore. James Lisney made his Wigmore Hall debut in 1986. His career has taken him throughout Europe and the Americas, performing in many of the world`s most important venues. His recordings of music ranging from Schubert, Beethoven, and Tchaikovsky to Beach, Bjornsson and Scharwenka have gained recognition from colleagues and plaudits from the recording industry. He is celebrating his 50th year by playing at 50 concerts mainly at small venues like our own. 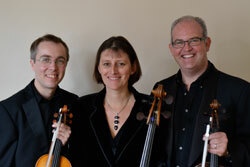 Each member of the Florin String Trio has a strong chamber music background. 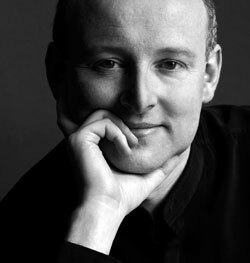 Charles Mutter (violin) is the associate leader of the BBC Concert Orchestra and has led them at the Proms and in the Maestro series, while Alistair Scahill (viola) regularly plays with the London Philharmonic Orchestra, including their performances at Glyndebourne. Catherine Rimer (cello) has for many years been a member of Sir John Eliot Gardiner’s English Baroque Soloists, and teaches at the Royal College of Music.